London is a city full of Museums and while they have long fascinated and informed countless visitors, their full potential as prime event spaces is yet to be realised. James Roche presents five top London Museum Venues. If you're anything like the couple in the above photograph and you fancy celebrating post-wedding with a rendition of Billy Joel's Piano Man, then the Picture Gallery at the Foundling Museum may be just the venue for you. 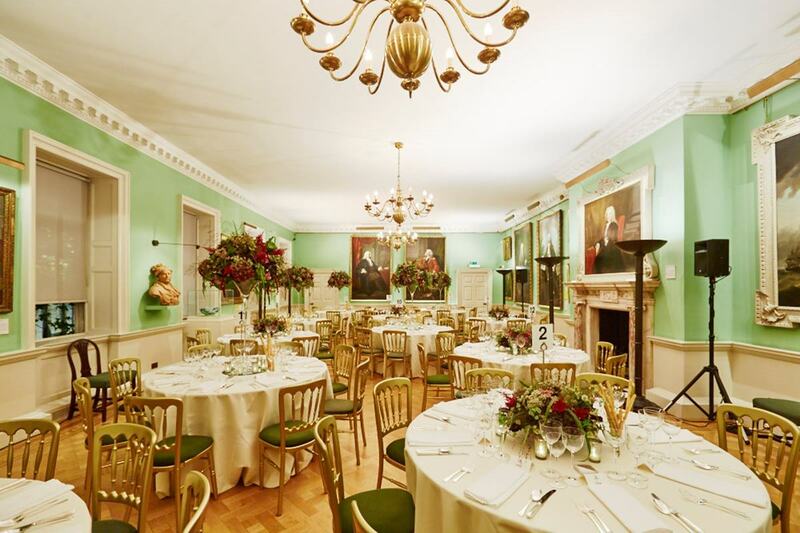 Ideal for hosting receptions of up to 200 people, this magnificent room contains many of the grand paintings given to the Foundling Hospital in the 1740's and provides a superb backdrop to almost any event. Combine this with the prestigious Court Room and Clore Creative Studio (perfect for workshop/conferencing events) and you've got one gem of an all-round venue. Corporate events and conferences can be tedious, colourless affairs - not at the splendid event spaces of the Museum of London Docklands though. Whether hiring the spacious Wilberforce Theatre, the beautiful Quayside Room, stylish Muscovado Hall or the whole venue, you'll be blown away by the stunning facilities on offer. Tracing the history of London's river, port and people since the arrival of the Romans, this classic Georgian Warehouse and Grade 1-listed venue provides an events space that Emperor Claudius would be proud of. Since opening in 1872, this grade II-listed building has become one of East London's best loved venues. From its sweeping Marble Floor (an unusual, yet striking event space ideal for large receptions and product launches) to the cosy Hickory Room (perfect for smaller meetings), the Museum of Childhood has all bases covered. Are you looking for a more informal dining arrangement for your next event? The Summerly Room, capable of seating up to 80 people, provides an excellent option. Moving and inspiring in equal measure, the Royal Gallery at the Guards Museum is a truly unique venue. With £6.5 million worth of regimental ephemera on display, you won't find a backdrop like this anywhere else in London. Right in the centre of 'Royal' London and a stone's throw from Buckingham Palace, this museum tells the story of over 360 years of proud and loyal service by the five regiments of Foot Guards who have the privilege of Guarding the Sovereign and her palaces. The best part about hosting an event at the Royal Gallery? Proceeds from events go directly to support the nation's proud military heritage. As we've seen in this article so far, Museums are far from drib and drab event spaces. The London Transport Museum is no exception, providing several top-notch hire options. Following an extensive, two year, £22.4m refurbishment, the London Transport Museum features the state-of-the-art Boardroom and The Cubic Theatre with breakout foyer - the perfect space for seminars, film screenings and conferences. 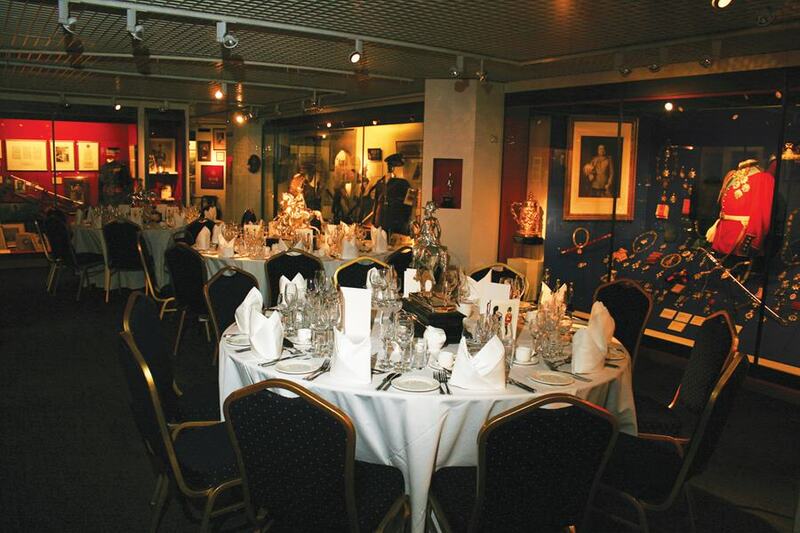 With the iconic museum collection as its backdrop, the Museum Galleries provide a fascinating event space, ideal for sit-down dinners or large-scale cocktail parties. Thanks a lot, James. Like our museums, you continue to educate and enthrall (and you're rather spacious). Know a museum we should be talking about, comment below.